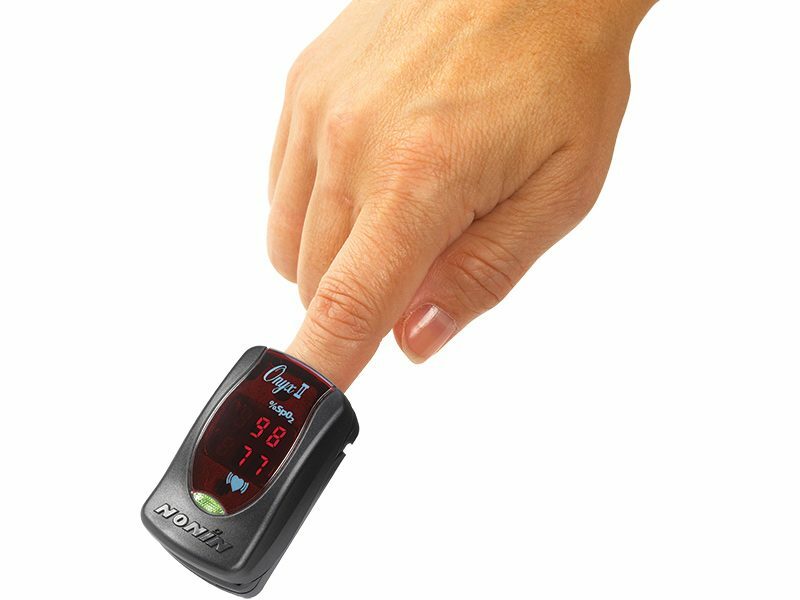 The Nonin Onyx II 9550 Fingertip Pulse Oximeter is a small, lightweight, portable device indicated for use in measuring and displaying functional oxygen saturation of arterial hemoglobin (%SpO2) and pulse rate of patients who are well or poorly perfused. It is intended for spot-checking of adult and pediatric patients on fingers (other than the thumb) 0.3–1.0 inch (0.8–2.5 cm) thick. Intended use environments include hospitals, clinics, long-term care facilities, skilled nursing facilities, emergency medical services, and home healthcare services. 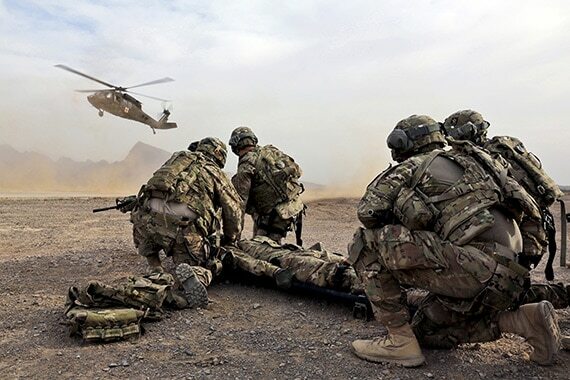 The Onyx® II 9550 is reliable and durable in the most demanding environments and has U.S. Army and U.S. Air Force airworthiness certifications. 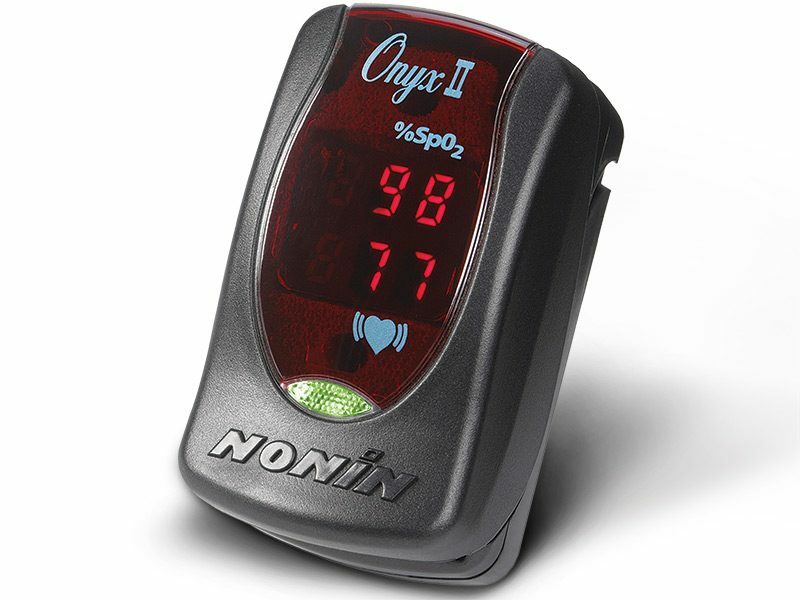 The Onyx II 9550 combines Nonin advanced pulse oximeter technology and compact design. 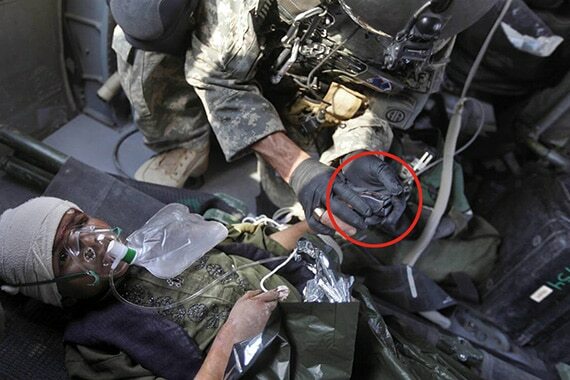 It can be carried anywhere for spot-checks and short-term monitoring.